A day before his first fan meeting in Malaysia was set to be held, singer-actor Ong Seong Wu told the media at a press conference in Kuala Lumpur that he was nervous yet excited about his solo venture in the entertainment industry. 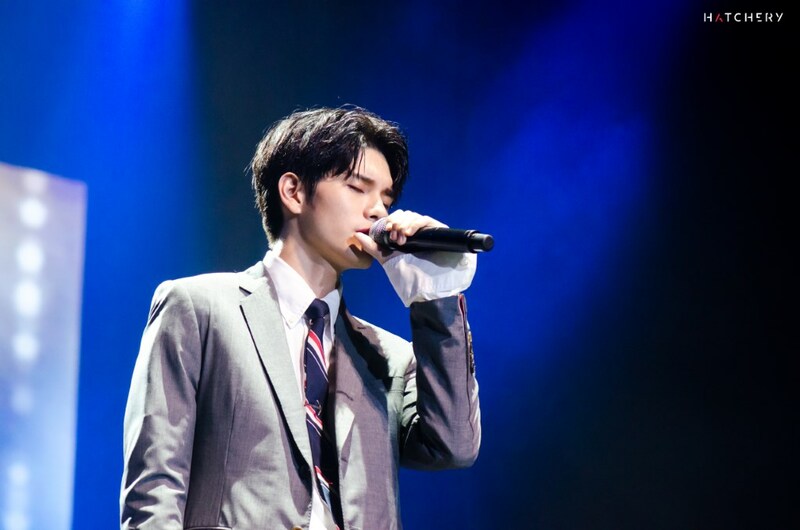 Fast forward to 23 March, the crowd of over 4,000 cheering fans welcoming the 23-year-old at his “Eternity” fan meeting at Axiata Arena, Bukit Jalil, was proof that he should definitely be more excited than nervous as he has plenty of love and support from his fans. 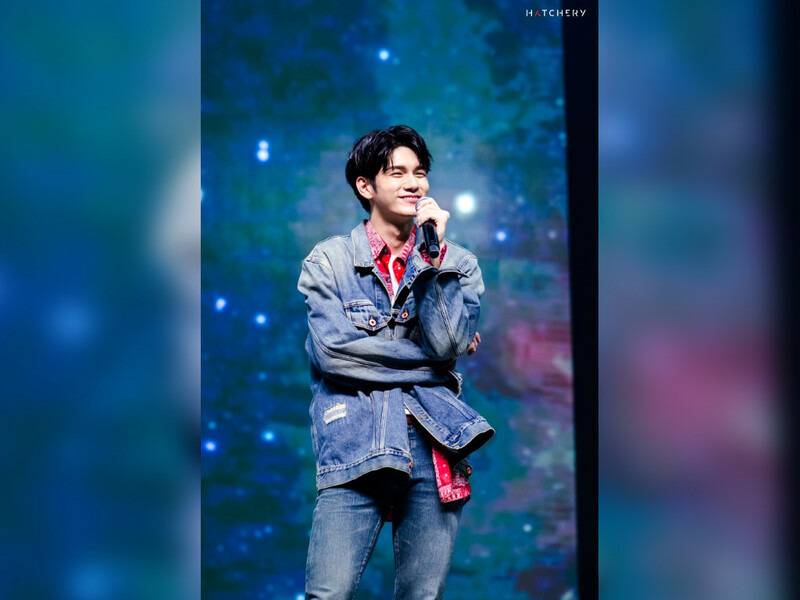 The fan meeting kicked off on the dot that rainy evening, as Ong opened the show with a dance cover of Bruno Mars’ “Treasure”. After the emcee’s introduction, the denim-clad singer reappeared on stage to greet his fans, who hail not only from Malaysia but also from neighbouring countries such as Thailand and Singapore, and from as far as Australia and USA. He then received a tablet on which there were several cleverly renamed apps (think Ongstagram, Ong Talk, and so on, a play on popular apps such as Instagram and Kakao Talk). He was to pick three of the apps and do or answer whatever mission or question that popped up. The singer played some games after opening his fan meet with a dance. Starting off with Ong Talk, he answered several questions sent in by fans via the chat. The questions were a fun mix of serious and funny, ranging from how it felt for him to be going solo to at what percentage does he charge his phone (it’s 10%, in case there are die-hard fans wondering of this). In reply to the question regarding his solo venture, he said that he sometimes missed his fellow Wanna One members (which was understandable as all 11 of them did everything together up until the group’s year-plus contract ended and the members each went his own way) but everything is okay as he still has his fans. The next app he chose was Ongstagram. He went through photos he posted on his own Instagram account and explained more about each photo, like how bad he is at playing the claw machines in Japan or how patiently he waited just to snap a photo of a tree’s silhouette on the surface of a swimming pool in Da Nang. For the third and final app, he picked Ong Play Music. Simple enough, all the multi-talented singer had to do was dance to whatever songs that were played. This gave him the chance to show off his dancing skills, specifically in Popping. After a short break, the singer returned on stage, this time in a grey suit. After performing the song “Please”, he moved on to the next segment, called “I Will Catch a Star for You”. Based on the Korean idiom “plucking a star from the sky”, which means something that is impossible to be done, the segment is to highlight the fact that he will do anything for his fans, including the very much impossible act of plucking stars from the sky above. Luckily for the singer, he didn’t have to stretch his arm quite high up. He only had to point to three of the stars shining brightly on the screen on stage. Each chosen star carried with it a mission that the singer had to complete. If he completed them successfully, he would pick seat numbers via lucky draw and the lucky fans in the chosen seats would get to go home with exclusive gifts. When the first star revealed a Claw Game mission, the singer gave a comical expression of despair. 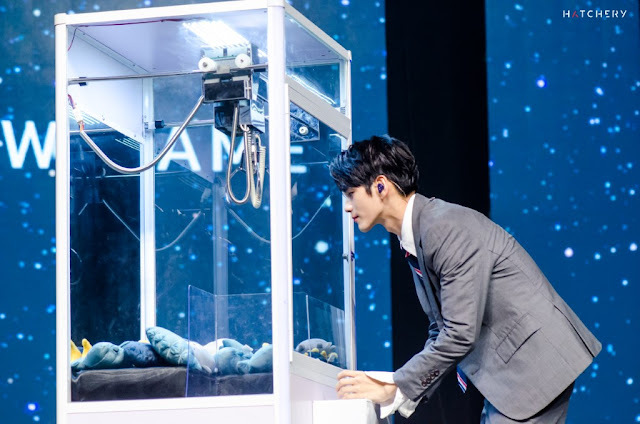 Luckily for him, he still managed to catch 2 out of the 5 required dolls and so 2 of his lucky fans went home with a signed plush toy each. For the second star, the mission was to drink five glasses of coffee without giving away which one tasted normal and which tasted odd. If he could maintain a calm expression throughout, he would win. Through mistranslation, however, the singer thought that he would have to drink only one of the coffees and keep a calm expression even if it wasn’t a normal glass of coffee. Being an avid caramel macchiato fan, Ong was confident he would have no problem picking the right glass among the imposters. Unfortunately for him, he picked one which he later described as akin to “drinking seawater”. Fortunately for his fans, his expression did not betray his taste buds and more fans went home with prizes. For the third star, the singer was taught to sing a local song, “Rasa Sayang”. He caught on quickly enough after a few rounds of practice and managed to successfully sing it together with his fans. Singing a song for his fans in Malaysia. After a surprise video dedication from his fans, he wrapped up his fan meeting with “Love this Moment”. Of course, he later reappeared for a short encore stage, showing off his dance skills again. Afterwards, all his fans lined up for a Hi-Touch (or high five) session and several fans for the photo session with him on stage. 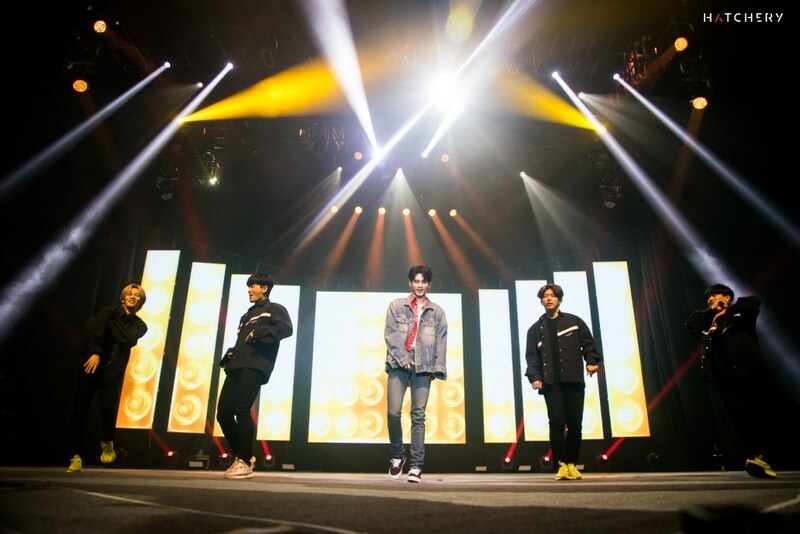 Organised by Hatchery, Malaysia is the second stop of the fan meeting tour, which kicked off in Thailand on 16 March 2019 and will wrap up in Singapore on 6 April 2019.